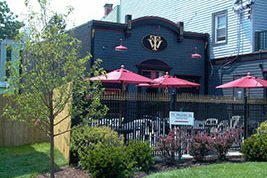 Project Description: Expansion and new façade for historic tavern. 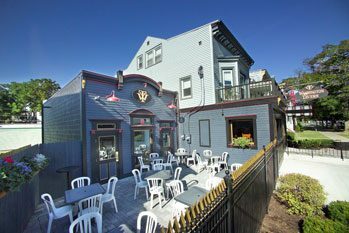 The building was extended thirty-two feet and the stone façade was replaced with blue-gray and gold trim work to give the building the look of a traditional Irish pub. 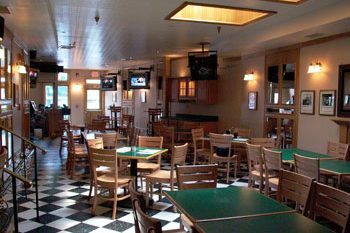 The banquet room was expanded to comfortably accommodate fifty people for a sit-down function, and seventy-five for a stand-up or buffet. A new service bar was added featuring a stained glass panel that was originally part of the façade. The outside eating patio and apron were completely redone. 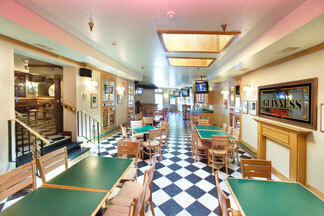 The kitchen was expanded to more easily serve larger gatherings and the flooring was replaced. 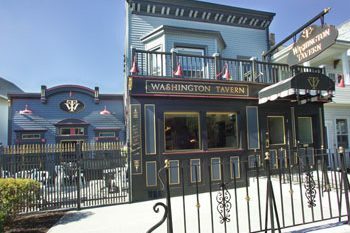 The Washington Tavern remained open throughout the construction; F. H. Alexander workers came in early and late so there was no down time.